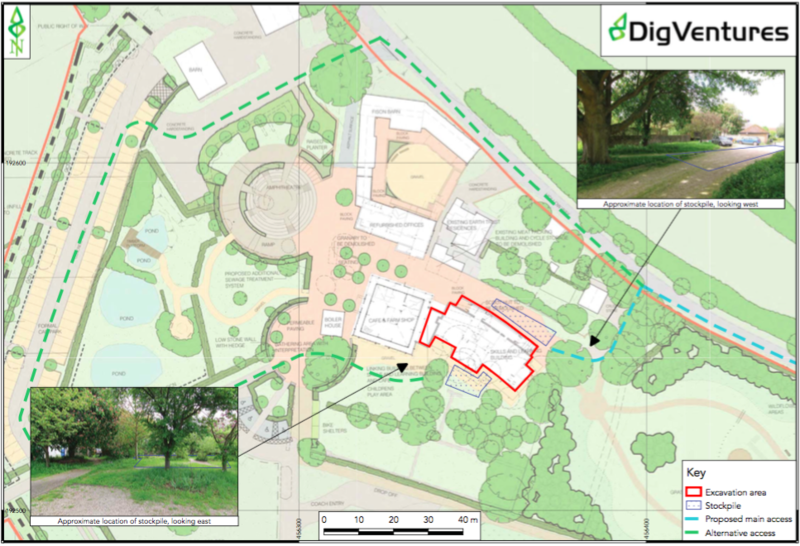 Earth Trust is developing a new visitor centre, and this is a chance to investigate a brand new part of the site before building begins. The Earth Trust Centre, the heart of the Earth Trust working farm, is nestled at the foot the iconic Wittenham Clumps, which is now a Scheduled Ancient Monument. The curved ramparts of Castle Hill date from the Iron Age, though archaeological work has shown that it was also a Bronze Age settlement, and it is now a Scheduled Ancient Monument. But it’s not just about the Clumps. The entire landscape – not just the hilltops – would once have been occupied, and there is likely to be additional evidence of Oxfordshire’s ancient inhabitants further downslope. Today, Earth Trust is embarking on an exciting new project to improve visitor facilities at the heart of their working farm. The first stage of this project will see the building of a purpose built education centre, Earth Lab, which will welcome children and adults from across the county for experiences ranging from accredited courses, skills development, school trips to birthday parties. To make way for the new building, the existing storage hut that wasn’t fit for purpose is being demolished, which is giving us access to previously un-investigated land. Previous investigations indicate that this land holds many clues the past and, as an environmental learning charity, Earth Trust is keen to share any new discoveries, and new archaeological knowledge, as widely as possible, helping people to understand more about the unique natural landscape that Earth Trust cares for. The excavation will be open to visitors, with guided tours running daily. Visitors will also be able to sign up to spend a day in the Finds Room, learning hands-on about the artefacts uncovered during the dig. And, of course, the results will all be available online for everyone to explore.